Where to Find & Book Cheap Flights & How Safe Are They? A flight as cheap and safe as possible please? You got it! Let me explain from where and most importantly why I search for and find my flights from. Where to find the cheapest flights from? Among the most popular flight search engines, Skyscanner is the best value I have found so far as they search through the most providers. So if there’s a flight that’s cheaper somewhere, they are sure to find it. Also, make sure to check out their, “daily offers for flights“. Another thing I love about Skyscanner, are the expert travel insight section where for example you can learn, “these flight hacks“. Being a metasearch engine, no actual booking is done on the site. All it does it scan through the current offers through as many third-party flight booking and travel sites as it can, then shows you the cheapest possible price for your connection. Although other similar cheap flight searches might often give out the same price, if one site cheaper than usually it’s Skyscanner. Let’s put this into perspective with a few good examples. One Airline that I know many people would pass on and has government subsidized cheap flights internationally is Aeroflot. During the history of the 1923 founded, largest airline of the Russian Federation there has been no accidents on international flights. Then there is another international low-cost airline from Singapore called Scoot. They are officially the cheapest airline in the world. Since their 7 years of operation there has been 0 accidents. 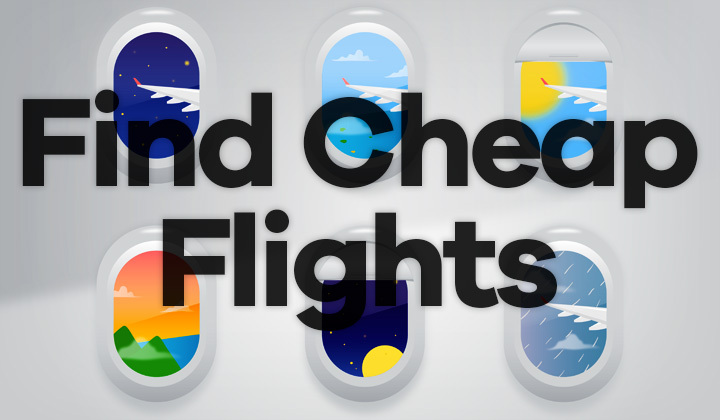 Overall, cheap flights are just as safe as any flight can be. Any questions about finding cheap flights? Or concerning booking in general? Write me below! It was great you could visit. Or even share!? David.